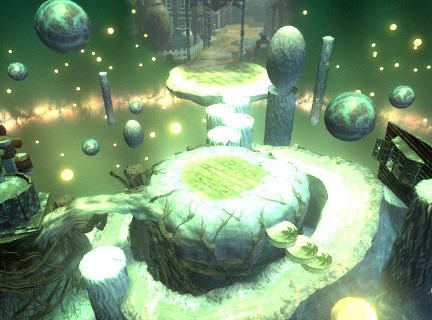 In Final Fantasy VII, there are a number of times that the player is placed into a position where things are meant to be disorienting – Cloud’s various ongoing hallucinations and flashbacks, the Temple of the Ancients, the Sleeping Forest, and even venturing into a projection of Cloud’s own mind within the Lifestream. In the Remake, there are a number of different ways that this sort of disorientation can be communicated to the player aside from just using filters, terrifying piano music, and ghostly Cloud phantoms. With the recent ongoing hirings of Battle Planners and Level Designers, putting a focus on thinking outside the box, a particular type of technique came to mind that the game should explore in attempting to achieve this, which is the use of impossible spatial geometry, and dynamically transforming layouts. There are plenty of ways that these techniques were used or hinted at in the original, but because of advancements in technology, there are a long list of ways that they could be significantly updated for the modern gaming era with the Remake. Rob Ager did a two-part analysis (part one & part two) that covers how geometric spatial defects were intentionally used to make things feel disorienting in the Stanley Kubrick film The Shining. The first part of his analysis also touches on when someone designed a 3D model of the Overlook Hotel in Duke Nukem that helped to show definitively how several features were actually spatially impossible. 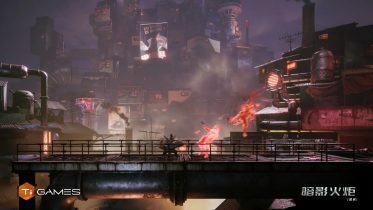 While that Duke Nukem map had to stick to more simple tricks for achieving its layout, like showing a window to the outside where none could exist, modern games have done many more things that utilize shifting player perspective and creating properly impossible geometry and dynamically transforming scenery to replicate this same disorienting effect for players. From the first “Watch out! This isn’t just a reactor! 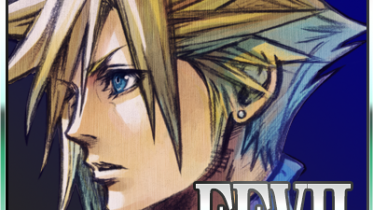 !” it’s apparent that Cloud’s mind has some actively ongoing issues. 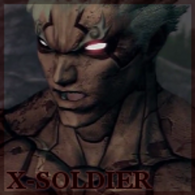 He frequently has memories triggered by seeing similar traits in physical locations he visits, and partially flashing back to various events in the town of Nibelheim. Even when directly recalling those events without triggers in Kalm, they’re filled with minor inconsistencies, not only in his role replacing Zack’s, but also in the appearance of the town itself. 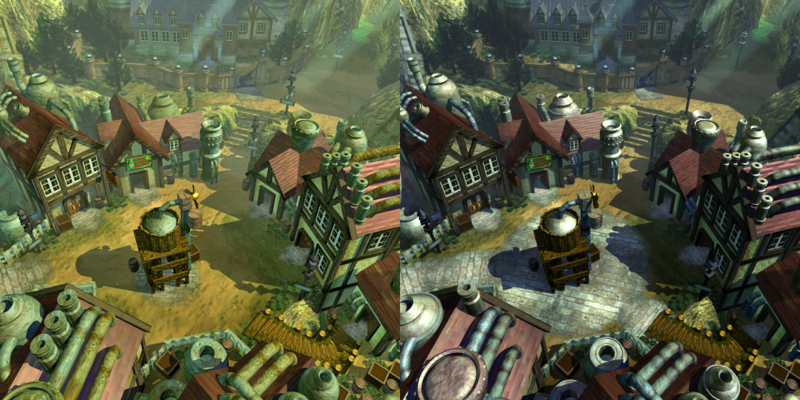 The original game actually uses two different renders for Nibelheim so that, like in The Shining, there are minor inconsistencies in the location’s appearance when recalling it in Clouds mind and later when seeing it in person that make things feel off – even when you can’t quite point out exactly what the differences are without a more careful analysis. In addition to utilizing different renders of the location in Cloud’s flashbacks, when you visit the town as-is, it’s important to remember that this part of the game is built to initially cast doubt on Cloud’s clearly unstable mind. At first it’s unclear if he’s completely imagined the town being burned down by Sephiroth, but slowly it’s revealed that Shinra’s extensive cover-up and reconstruction of the town was just serving to gaslight the already unstable Cloud, and further confuse the player. There are plenty of different ways to achieve these things in the Remake. The most straightforward is the one employed in the original game: utilizing totally different renders of Nibelheim. The pre- and post-reconstruction Nibelheim should be very close to one another, but have some minor inconsistencies between them – like the number of chimneys or missing parts on sign-posts, but also on the materials such that they could be the result of aging – even though they’re not. 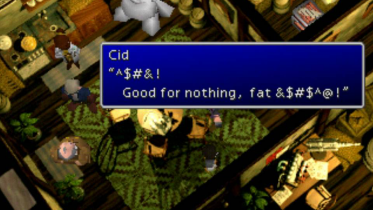 The differences should be things that make it seem more like Cloud imagined everything he’s told the party, and only on close investigation by the player any evidence of a cover-up is apparent in the physical parts of the town (the replacement townsfolk themselves are a whole other thing). In the Reactor-based flashbacks, there are many more ways to play with Cloud’s mind. Short breakdown moments are enough make alterations to an environment to briefly change the location that Cloud appears to be standing in. The Batman Arkham Trilogy was notorious for doing this, and often used camera positioning to switch between assets. Perspective shifts, as well as Cloud’s little hallucination flashes are ways to change things in the environment around Cloud. We already got a preview of what Cloud’s memory glitches may look like in the Remake from the gameplay trailer at PSX in 2015. Simple little static glitches like this are definitely something that could be used to indicate that there have been alterations to the scenery around you, and also for indicating that there are larger triggers of flashbacks taking place. These types of techniques allow for replacing small bits of the Midgar Reactors with features from the ones in Nibelheim for brief little glitches. Not only that, the Arkham Series also presented a way that the player could be able to control Cloud in isolated, fully hallucinated versions of the places that he’s flashing back to, the same way that Batman gets tossed into hallucinations by Scarecrow. 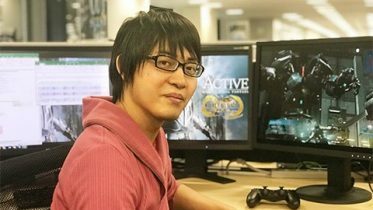 These events could easily be configured to give a greater sense of Cloud’s damaged mental state in a way that doesn’t just rely on cutscenes like the original game, but delivers it in a way that more directly influences the player’s experience as Cloud. The Temple of the Ancients has an exceptionally memorable sequence in its interior of confusing, winding pathways in an isometric perspective, that gives off M.C. Escher-like vibes, despite all being normally-navigable environments, with a clear path. There are several ways that the Remake might tackle this particular area. While there are interesting advantages to the locked isometric perspective for these sections, there’s also the possibility that they don’t lock the camera down, and maintain a normal player perspective, and have to find ways to communicate the same sense of unease differently. The easiest way to achieve that would be to focus on the non-isometric aspect of M.C. 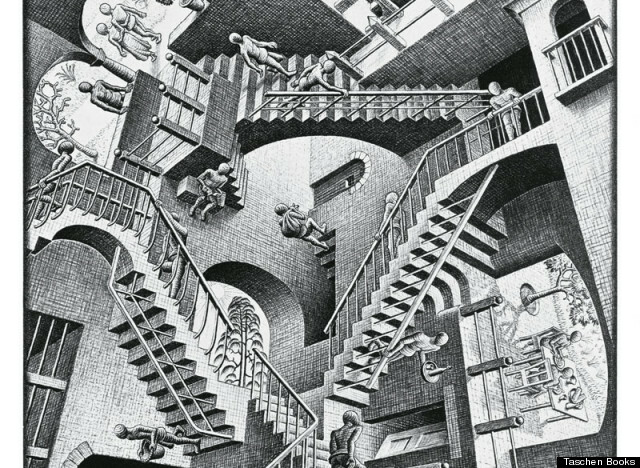 Escher’s mind-bending artwork, which focuses more on the other aspects of its impossible geometry that don’t rely on perspective alone. The most straightforward way to maintain the M.C. Escher-like sense of the Temple of the Ancients, if they eschew the locked-isometric camera would be to have impossibly mapped entrances and exits, and sections of improper gravity, and stairs going the wrong way. While it utilized a very different visual style, the 2006 game Prey had a number of puzzle elements that relied on portals and subjective gravity from a first-person perspective, which are the same basic game elements that you’d use to achieve that, but just delivered in a much more subtle manner. You could have a doorway that turns, and exits from a completely different hallway by using a “portal” that just looks like a normal door. Additionally, passing into a hallway and out another exit could leave you walking on the wall, the ceiling, or even back into the same set of stairs, but just rotated 90º to access a section that would’ve been inaccessible previously by allowing the gravity of the surface to be subjective, or even just change how it works depending on the entryway you used to reach it. That would allow you to design an M.C. Escher-like environment that’s still enjoyable from the same camera perspective that the rest of the game utilizes. 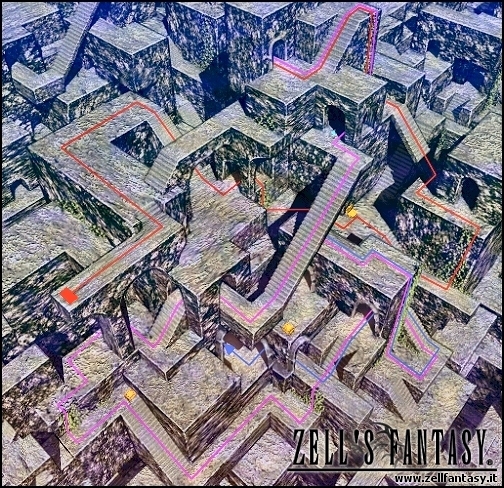 Even though it would be slightly more fantastic and disorienting than the one in the original game – since that one didn’t have any impossible geometry – it’s clear that the sense of being thrust into a disorienting labyrinth with this inspiration is still achievable even when you don’t rely on the same omniscient perspective that the original gave. However, the Sleeping Forest has a rather unique combination of elements that would make it really feel impassible, and also make it different from the other sorts of hallucinatory oddities that Cloud would’ve experienced thus far. First of all, at its core, it’s a fairly simple single vanishing point treadmill effect, You can constantly move towards the end of the pathway, but you never actually make any progress. The most well-known version of this is probably the endless staircase from Mario 64, where you can go forward forever, but when you turn around, it’s always the same distance back down to the bottom. Doing this would mean that once the Lunar Harp was played to awaken the Forest, it would just remove the impassible treadmill effect, but the right- and left-boundaries would still be connected to keep the ethereal and strange looped feeling to the forest intact. That’s especially important since the Sleeping Forest itself is still inherently magical, as playing the Lunar Harp doesn’t permanently alter the forest, but rather changes it only to allow passage through for the one who played it (since Aerith herself used it to get through before Cloud & Co. arrived in pursuit). Plus, leaving some mystical elements intact in the forest would also allow for some hints at extant puzzle elements that are employed off the main path, like the one to obtain the illusively wandering Kjata/Kujata Materia – which can be done after awakening the Sleeping Forest – and it does Pac-Man like warping from left to right screen boundaries in the original. This is where everything comes together. Moreso than any of the aforementioned places in the game, this is far and away the most mind-bending and surreal. Again, unlike in the original game, we’re not bound to backgrounds with locked perspectives, so this section is the most likely to significantly change in its portrayal. It’s a physical representation of the amalgamation of all of Cloud’s fractured memories melding together in the Lifestream. There are whole games based around passing through a hallucinatory environment composed of memories, that have all been done fantastically that the Remake could draw off of. The first one that comes to mind would be the horror game, Layers of Fear. It employs several different techniques with impossible geometry that we’ve covered earlier and many different ways that it takes the geometry of a house and wraps it in, around, and back on itself, while often twisting and distorting versions of things that you’ve encountered before. Much like what the unfortunately abandoned P.T. Demo nailed masterfully, this section should make the player feel trapped in Cloud’s mind the way that he is locked in his memories from Mako poisoning. Another example of making the player feel trapped and twisting the environment is from Batman Arkham Asylum, where Bruce experiences a gradually overwhelming flashback to re-experiencing the event of his parents’ murder. This shows a way that you could gradually change elements as you delve further and further into Cloud’s mind, slowly correcting memories and causing things to right themselves. 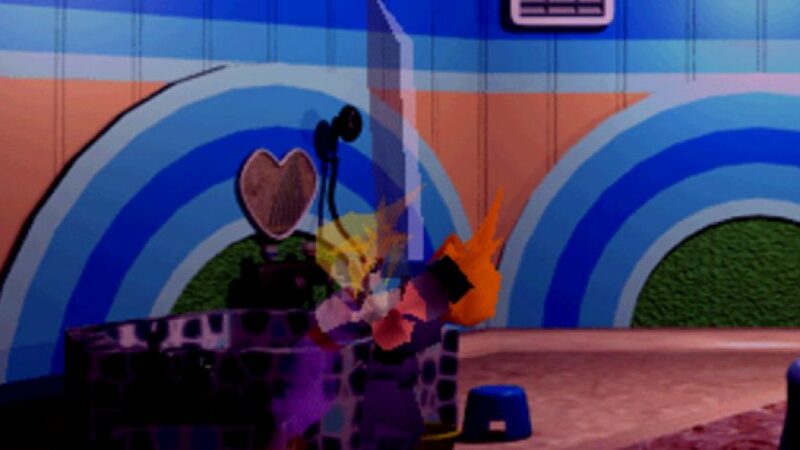 If there’s any portion of the game that could totally use a more fresh take, it’s this bit spent in Cloud’s head, since there’re so many advances in portraying this sort of surreal scenario since the original game was released. This moment can be built up to with all of the previous small pieces of deception and hallucination presented before with Cloud’s fractured psyche, by seeding these types of things elsewhere, as well as getting the player used to traversing more odd environments that use different techniques of impossible geometry and defects in details and spatial placement. There are plenty of reasons to look into using these sorts of modern gameplay techniques to enhance the delivery of a number of narrative events in the Remake. 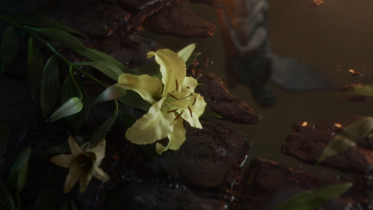 Hopefully these recent job postings and long periods of silence on official updates means that they’re working on some truly innovative things behind the scenes in the game, to really bring the Final Fantasy VII Remake up-to-par with other modern games. 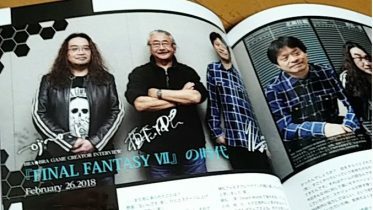 If they are truly aiming to surpass the original, this is the sort of thing that we should be hoping for.